How brilliant you are for choosing to give yourself the gift of this VIB 30 Day Trial Adventure in Oneness Membership! Welcome to our incredibly brilliant & loving community! We welcome you with open arms! This program is for *YOU* and your energy is a contribution to all of us! Thank you for YOU & your Infinite Beauty, we are so very grateful! Here are a few sample goodies from the goldmine to get you started: Abundance Activation Audio Abundance Activation Video Video password: cswealth AIO Member Call June 2014 Embodying Your True Essence Week 1 Week 1 Audio Week 1 Toning Our weekly live stream is usually every Wednesday at 6pm Pacific. NOTE: You can watch the weekly live stream on video under the "Live Stream" tab on the website. The video password for the weekly live streams is: aiovib and the call-in information is located on the "Live Stream" tab of the membership site. You call in to participate in the conversation or ask questions. Our monthly membership call is usually on the 4th Wednesday of each month at 4pm Pacific. You can always find the date and call-in information on the "Monthly Call" tab of the website. 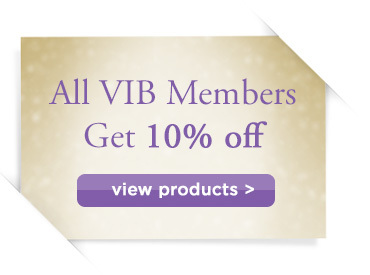 *As a VIB Trial member you will have limited access to the site during your trial month. You have access to the following tabs, "Live Stream", "Monthly Call" and "VIB Trial." This means that you will not have access to the live stream or monthly call archives or goldmine. In order to have access to these segments you must upgrade to a regular VIB account. When you click on a restricted access page you will see an error message that asks you to upgrade for access to that section. At times the schedule may change if Rikka is traveling - we will send announcements if there is going to be a change from our normal routine. How much JOY & LOVE can we all create together on this magical Adventure in Oneness?